This is The Great Spousal Unit, walking our dog at Fort McHenry in Baltimore, home of the Star Spangled Banner, probably one of the greatest public picnic spots in the entire country. We go there at least a couple of times every year. Usually in the morning, when we grab a couple of portable chairs, two large cups of coffee, a little breakfast, the Sunday newspaper, and the pooch. We take the entire morning, leisurely going through the paper, discussing the latest and how it makes us feel, and taking Boomer for a walk or two. We don’t usually return until early afternoon, choosing to take the long way home via city neighborhoods we haven’t been through for a while, to see how they’re doing too. If you’ve never lived with diabetes… imagine having more time for quiet mornings with those closest to you. Imagine having the time to turn your interests and passion into a hobby rather than a mission. This is Boomer the Dog, and Max the Cat. As you can see, they get along pretty well. Neither Boomer nor Max are certified alert pets or therapy pets. The service and friendship they provide fall short of and expand far beyond those definitions. Max does have a knack for knowing when my blood sugar is low, or at least a knack for getting me to focus on treating a low. Boomer provides that rock solid dependability that helps you to know that no matter what, he’s on your side and he’s not going anywhere. When you’re excited about an achievement, or you’re sobbing due to some insult swallowed or dream dashed, he’s always there, tail wagging, ready to pick you up. If you’ve never lived with diabetes… imagine your dog or cat as just a buddy, not a family member. Then imagine having the gift of a beloved pet who will celebrate triumphs over diabetes and commiserate over losses due to diabetes with you. No questions asked, no conditions. Imagine how incredibly special that can be. These are some of my friends who live with diabetes. Having a friend is spectacular. Having friends who understand you is like Christmas. Having friends who understand you, don’t judge you, and want to hang out with you now and then is like having Christmas every day of the year. These people know you. They know what you go through. Sometimes, they’re rule breakers like you. 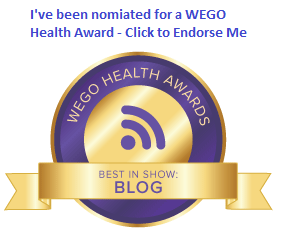 They can help you navigate problems with devices, or give you insight into a new drug you haven’t tried. They’ll also help take your mind off the fact that you have a chronic condition you won’t ever be able to shake off. They are worth their weight in gold. If you’ve never lived with diabetes… imagine feeling alone in your disease, feeling like you’re the only one who understands or ever will understand what you’re going through. Imagine the despair that can bring on after a couple of decades. Then imagine suddenly being accepted by new friends, just for having a busted pancreas, just because they too have known the despair. Imagine the gratitude you’ll feel and the renewed sense of purpose it gives you, every time you interact with them. Hey listen, maybe your life is a lot like this. Maybe you have a dog or a cat too. Maybe they bring joy to your life. Maybe you’re doing okay, and if you are, I am truly happy for you. We all deserve happiness. I don’t know where my life is going from here. I only know that because of the people, the pets, and the experiences in my life, my outlook isn’t as bleak as it once was, and my diabetes is all the better for it. In fact, things are pretty damn great right now. We all deserve happiness. It’s Friday… and today, it’s a special Family Day edition of Happy-Medium.net. – First, a little about my own family. Before The Live-In Niece there was The Live-In Nephew. One of my godsons. He grew up mostly in Indiana. In January 2003, he moved in with us at age 20. All his possessions in the world were in a duffel bag. No prospects. Three years later, he had a great job and moved in with his girlfriend. Two years after that, four years ago today, they were married. I was shocked and honored when he asked me to be his best man. I thought that was as good as it was going to get. Until they had the baby this spring… on my birthday. Happy Anniversary Brian and Erin! – Finally, a couple of JDRF items for any of you who are reading or living in Maryland. 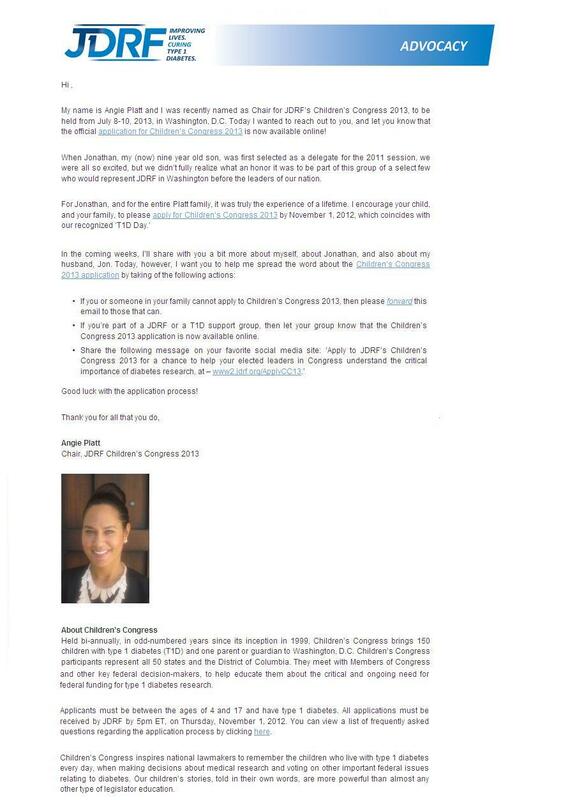 One is about the application process starting for the JDRF Children’s Congress. 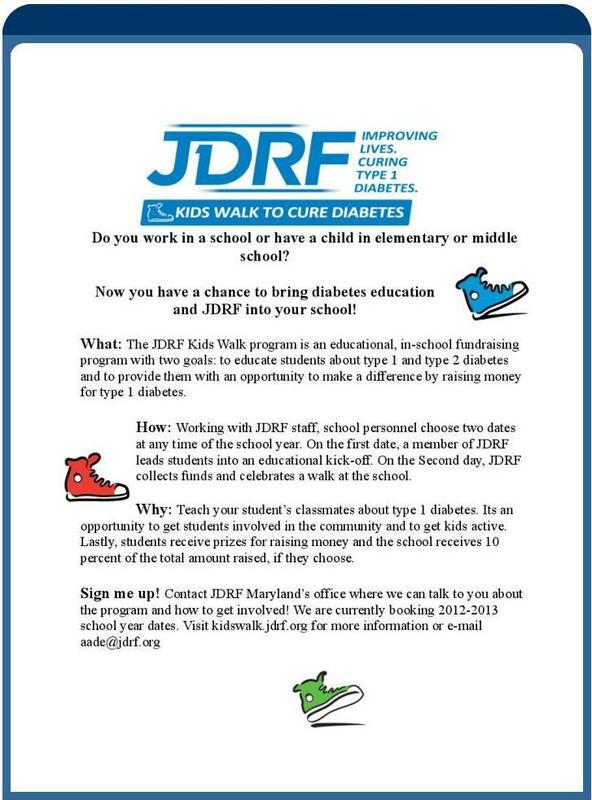 And the other is about the JDRF Kids Walk program (this is a great idea). Have a great weekend! I’ve gotta get out and shop for an anniversary gift (mine is next week)!